from 788 with love: Augustiner and A BABY! 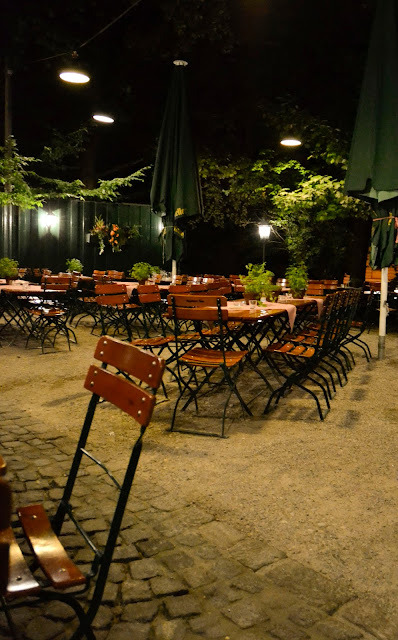 We've gotten better at looking into some of the more authentic places to eat while traversing Europe. 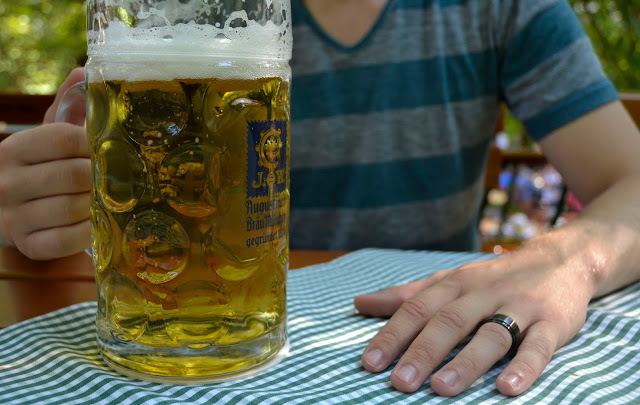 Augustiner was the perfect fit for Munich and Chris' search for a little pre-Oktoberfest. Our last night in town we closed down the place in preparation for our second overnight train ride in two days. Oh! Completely unrelated, and probably should not be mentioned in a post where the main focus was beer, (on second thought, John may like that), there's a new Maloney in the world! I am so, so sad we weren't home to be there for her first few days. Unbelievably down actually. Thank God for a distracting weekend coming up because this whole alone-time for 8 hours followed by Chris and I wishing we were among family/friends the rest of the time...not going to cut it with all the excitement happening back home. Only 4 more months with lots of visitors coming and going, you'll hardly notice the time going by. 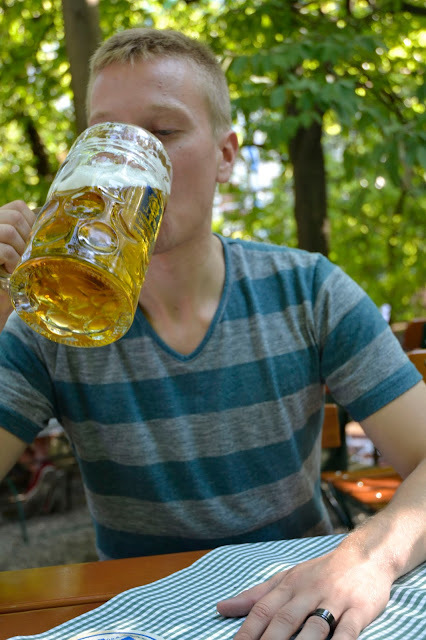 In 5 months, Chris will be dreaming about that huge beer at Augustiner's. See you guys soon. And when you and Chris return home we will make sure you get first dibs on holding Baby Brianne and all the snuggly time you desire with her:) Miss you, see you soon! !